Located close to the Trish Clark Gallery and a flood of cafes, the Albert Park is a relaxing green space at the heart of the city. The flower beds with pedestrian streets that are loved for their minimalistic elegance, are perfect to take a walk around as you sip on your favourite coffee. Highlights of the park include the fountain, a floral clock feature, a rotunda and statues of Queen Victoria and Sir George Grey that standout from the surrounding green landscape. The place has pedestrian access 24/7. How popular is Albert Park? People normally club together Auckland Domain and Sky Tower while planning their visit to Albert Park. Historic 19th century inner city Auckland park. Fantastic for sitting in the sun. Superb old trees and band rotunda. Park keeper's old house is currently in the process of getting a complete make over. Rare early plantings of exotic trees. Lovely in spring. One park in the middle of Auckland, New Zealand. This park is the main destination for visitors. 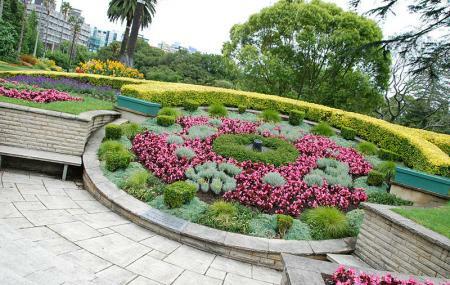 Albert Park is the heart of the city which is filled with beautiful plants and flowers in the summer like now. You can do various fun activities here, you can read, exercise, interact with friends, and family. The place is friendly with children, children are very happy to play here. Here you can find various types of birds. Pretty little park that's well taken care of. Great place to break away from the busy city life in Auckland. Has a lot of area for just sitting around and chilling. Great place for a walk or a run as well. Some real pretty flowers around here as well. Good park with flowers and a cherry blossom tree! Is in the centre of the Auckland CBD. Benches are present to sit and enjoy the park. There is a steep climb to enter the park due to the surrounding hilly region. Adult sports don't happen here, but children can spend quality time. Water fountain is present at the centre of the park.